1. Drive away price on new and demo FIAT 500 Collezione manual, registered and delivered between 1 January and 31 March 2019 unless changed, withdrawn earlier or extended at the discretion of FCA Australia Pty Ltd. Offer valid while stocks last and excludes fleet, gov’t and rental buyers. Price includes all on road costs and vehicle colour shown. Other colours may incur additional costs. Terms, conditions & exclusions apply. Visit FIAT.com.au for details. Full conditions available on application. Terms, conditions and exclusions apply. 2. Drive away price on new and demo FIAT 500 Pop manual, registered and delivered between 1 January and 31 March 2019 unless changed, withdrawn earlier or extended at the discretion of FCA Australia Pty Ltd. Offer valid while stocks last and excludes fleet, gov’t and rental buyers. Price includes all on road costs and Gelato White paint. Other colours may incur additional costs. Terms, conditions & exclusions apply. Visit FIAT.com.au for details. Full conditions available on application. Terms, conditions and exclusions apply. 1. 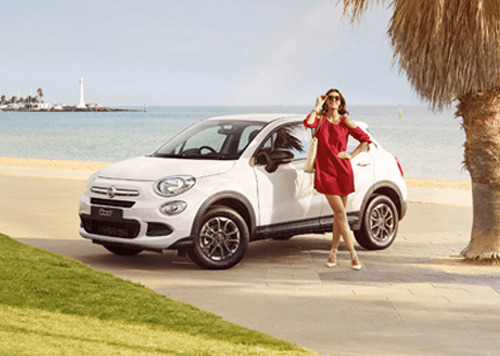 Drive away price on new and demo FIAT 500X Amalfi Special Edition, registered and delivered between 1 January and 31 March 2019 unless changed, withdrawn earlier or extended at the discretion of FCA Australia Pty Ltd. Offer valid while stocks last and excludes fleet, gov’t and rental buyers. Price includes all on road costs and vehicle colour shown. Other colours may incur additional costs. Terms, conditions & exclusions apply. 2. Drive away price on new and demo Series 2 FIAT 500X Pop manual, registered and delivered between 1 January and 31 March 2019 unless changed, withdrawn earlier or extended at the discretion of FCA Australia Pty Ltd. Offer valid while stocks last and excludes fleet, gov’t and rental buyers. Price includes all on road costs and Passione Red or Gelato White paint. Other colours may incur additional costs. Terms, conditions & exclusions apply. 1. 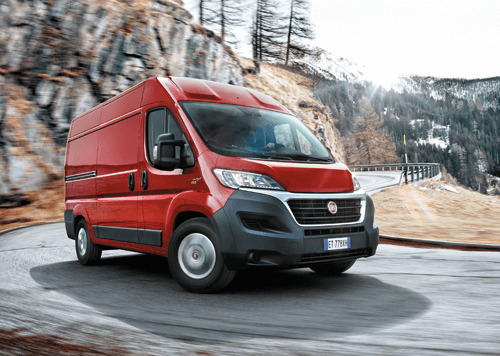 Drive away price on new Fiat Professional Ducato Short Wheel Base manual, excluding all motorhomes, registered and delivered between 1 January and 31 March 2019, unless changed, withdrawn earlier or extended at the discretion of FCA Australia Pty Ltd. Offer valid while stocks last to ABN holders only and excludes government and rental buyers. Includes all on road costs and white or red paint. Other colours may incur additional costs. Terms, conditions and exclusions apply. 1. 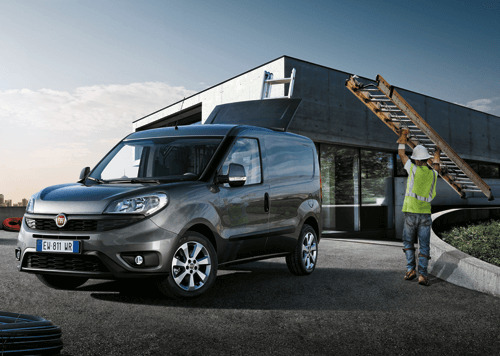 Drive away price on new Fiat Professional Doblo 1.4 manual, registered and delivered between 1 January and 31 March 2019, unless changed, withdrawn earlier or extended at the discretion of FCA Australia Pty Ltd. Offer valid while stocks last to ABN holders only and excludes government and rental buyers. Includes all on road costs and white or red paint. Other colours may incur additional costs. Terms, conditions and exclusions apply.